More than 300 people attended two recruitment and career days at Worthing Hospital and St Richard’s in Chichester on October 1 and October 8. Western Sussex Hospitals NHS Foundation Trust was rated Outstanding earlier this year by the Care Quality Commission and in response the trust has launched its biggest ever-recruitment drive. Only five acute hospital trusts in the country have been awarded with the CQC’s highest rating and the trust’s Outstanding reputation is now helping it attract new talent. Jennie Shore, deputy director of Human Resources said: “We have been overwhelmed by the level of interest in working for our trust. Western Sussex Hospitals NHS Foundation Trust employs 6,500 members of staff in its hospitals in Chichester, Shoreham and Worthing, as well as in satellite services based in Crawley, Bognor and elsewhere. Many of those who attended the recent open days said trust staff had encouraged them to do so. 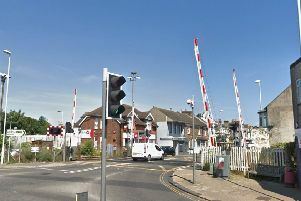 Jennie Shore, added: “It says a lot about Western Sussex as an employer that our current staff are encouraging their friends and family to come and work here. “We’re one of the biggest employers in West Sussex and take our responsibilities as an employer very seriously. “We invest in our people to provide the training and support they need to achieve their career goals. One person who came along to the event at St Richard’s Hospital was Sarah Munday, who already works for the trust. Sarah brought her 17 year old daughter, Jennifer, who would like to become a doctor. Jennifer signed up to become a volunteer in the trust’s medical day-case unit to gain valuable workplace experience. Sarah also brought her mum Jean with her who has a wealth of administrative, financial and customer service experience. Jean signed up to the trust’s admin bank, a flexible working resource the trust can call upon instead of using more expensive agency staff. The trust continues to seek new staff across a range of clinical and non-clinical services. For further information email westernsussex.careers@nhs.net.